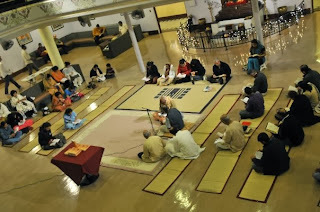 Gita Jayanti Celebrations - Thursday, December 12, 2013 ~ The Toronto Hare Krishna Temple! The ancient spiritual text, the Bhagavad-Gita, which translates to "Song of God", was spoken by Krishna to Arjuna some five thousand years ago. The teachings that were imparted deal with topics like how to live a peaceful life in a chaotic world, why good things happen to bad people (and vice versa), and can help us answer questions like "whether purchasing the latest iPhone 5S will really make me happy"! Gita Jayanti, a festival which marks the speaking of this profound knowledge, falls on Thursday, December 12th this year and is celebrated by millions around the world; people get together, read the verses of the Gita and are left feeling uplifted and fulfilled. Celebrations commence on Thursday, December 12th at 6:00pm and will involve the reading of both the Sanskrit texts and English translations; feel free to bring in your personal copy of the Gita to join in or you can earn your copy especially blessed by the Deities by sitting through the entire reading that will go until around 9:00pm. 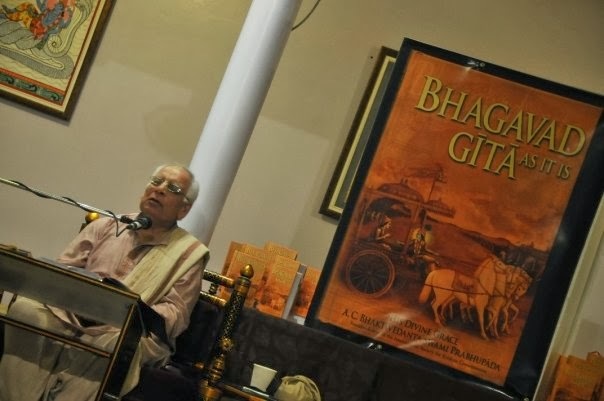 On this auspicious occasion, many well-wishers sponsor copies of the Bhagavad-Gita As It Is, which is Srila Prabhupada’s translation of the original Sanskrit text, to be distributed to hotels, hospitals, shelters, and other welfare organizations. You're welcome to help us in this capacity if you can. 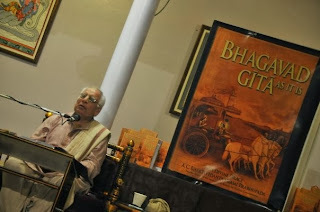 A tentative second reading might happen on the Sunday that follows Gita Jayanti; stay tuned for more information on that. Also, check out this cool trailer! will there be a broadcasting of the reading is it done in english or hindi? The plan is to have readings in both Sanskrit and English. Unfortunately, the festival will likely not be broadcast.